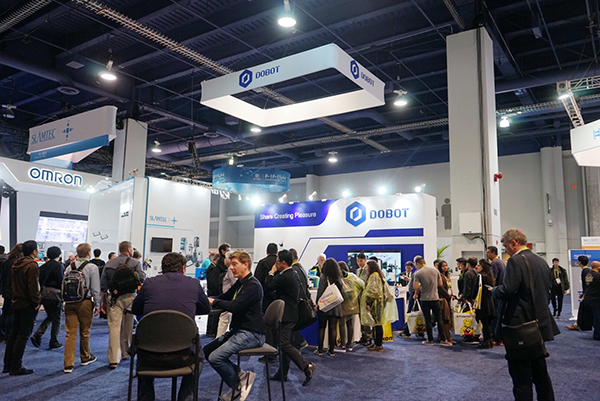 LAS VEGAS, Jan 10, 2018, DOBOT is attending CES 2018. 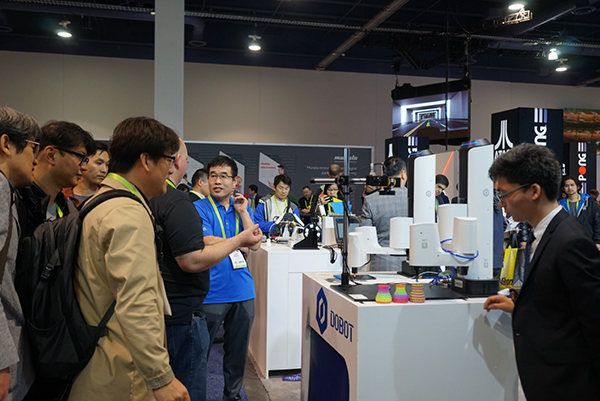 With the theme of Shake Hands with the Future, DOBOT will display DOBOT Magician, which has been selected as a CES 2018 Innovation Awards Honoree. Also on display will be the DOBOT M1, DOBOT MOOZ, and DOBOT RiGIET. 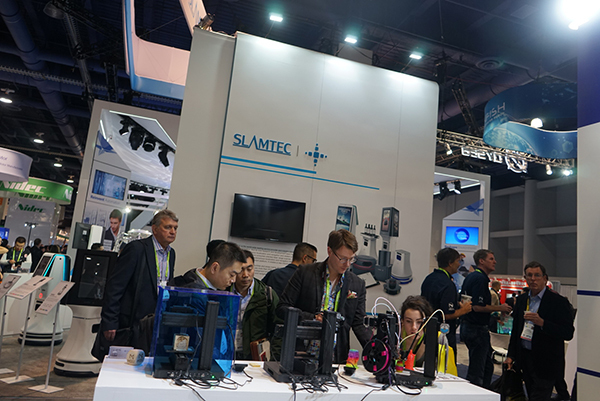 Meet DOBOT at Booth Number 25750, South Hall, Las Vegas Convention Center. DOBOT Magician is a versatile educational robot arm, which has been selected as a 2018 CES Innovation Awards Honoree. The arm can be utilized in both professional and practical education. Paired with different tools, DOBOT Magician can show various interesting functions, such as 3D printing, laser engraving, writing & drawing. Not only that, it is an ideal machine learning platform for the study comprehensive subjects. For instance, students can learn programming, data modeling, mechanical engineering, computing and industrial simulating and more. 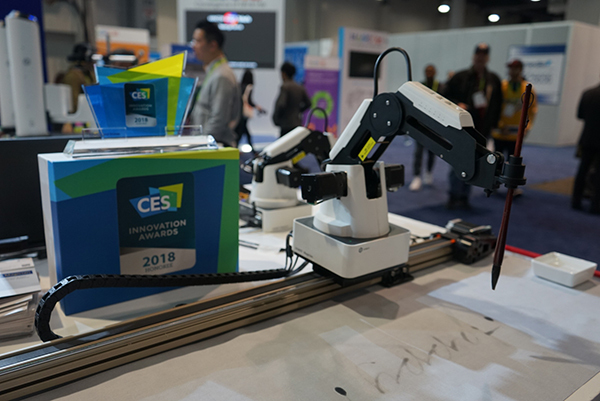 DOBOT M1, a professional robotic arm for business, is also at CES 2018. It is the most affordable professional robotic arm in the industry. With 0.02mm precision, the velocity of 200 degrees per second, 1.5kg workload and 400mm maximum reach, DOBOT M1 can realize multiple functions such as soldering, PCB plug-in, visual recognition and picking & placing. It also provides a secondary-development user interface, which gives users more possibilities for their workspace. DOBOT will also display the new DOBOT MOOZ, the industrial grade transformable metallic 3D printer, with the functions of 3D printing, laser engraving, and CNC carving. MOOZ is a versatile workshop. DOBOT RiGIET, the most advanced 3-axis gimbal for smartphones and GoPros. 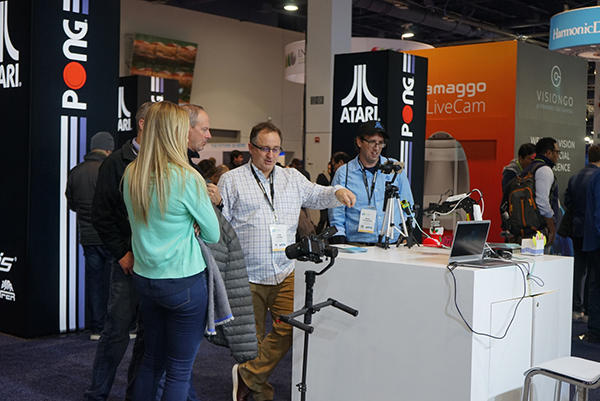 With auto-tracking, timelapse, live stream and more, DOBOT RiGIET will help to record what happens at DOBOT's CES booth. DOBOT will discuss the development of artificial intelligence and shake hands with the future. For more information about DOBOT visit: https://www.dobot.cc/. DOBOT was built by 5 dedicated robotics engineers with the mission of providing the best robotic solution for innovation education in China and continuously developing the extensive applications in this arena. More than 60% of DOBOT's staff are engineers, most of them are from MIT, Tsinghua University, Shandong University and HIT. It owns core technologies in robotic arms and over 100 international patents. The DOBOT robot arms have been sold in more than100 countries and regions so far. DOBOT has been a leading company in the field of the educational robot as well as the smart desktop robot arm. DOBOT is also the first company in the world to bring the industrial robotic arm to the desktop.